An evening-length ensemble circus-theater show about the little and big deaths we experience in our lives, about losing and finding ourselves and each other, about intimacy and support, about grief and humility, about avoidance and forgiveness, and, through it all, the magnificent journey of transformation. 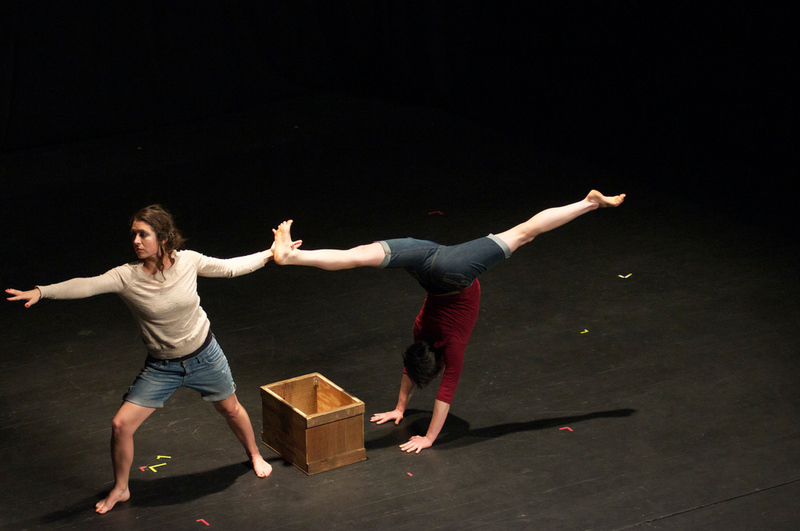 Tinder & Ash unites the virtuosic nature of circus with the vulnerability of humans being. 90-sec Sizzle Reel for the full-length show "Tinder & Ash"
Two women fall in love (and navigate the fear and intimacy that follows) ten feet in the air. A duet on one trapeze. Playful, joyful female trapeze duo act, available immediately. For booking, please contact Megan Gendell at mgendell@gmail.com. Graduation performance from New England Center for Circus Arts (NECCA)'s Professional-Track (Pro-Track) training program, 2014. Performers: Megan Gendell & Lauren Feldman. Music: Penguin Cafe Orchestra. “Frolic” offers a glimpse of a playful, intimate, and enduring friendship, an ode to those with whom we can be our most joyful, open, and trusting selves. Buoyant, honest, and complicated, “Long Way Round” depicts the passage of time and the moments when long-term partners want to move their lives in opposite directions. Lauren Feldman performs "Kinds of Stillness," a story-telling theater and hand balancing act, at the Greenhoe Theater, Putney, VT, May 10, 2014, as part of Eighteen Tickets to Elsewhere. Performed with Amaya Alvarado. Text by Lauren Feldman. Created as part of New England Center for Circus Arts (NECCA)'s 2013-2014 Professional-Track Training Program. For performance, please contact lauren.m.feldman@gmail.com. Through handstands and text, Lauren investigates different kinds of stillness, sharing the story of the first time she kissed a girl, reflections on the gradual disappearance of a loved one, and an attempt to find her own grounding alone. Lauren Feldman performs "And I Miss You," a theatrical solo trapeze act, at Dixon Place, NYC, July 5, 2013, as part of the HOT! Festival. Music by Merrill Garbus and William Brittelle/Roomful of Teeth. Created as part of New England Center for Circus Arts (NECCA)'s 2012-2013 Intensive Training Program. For performance, please contact lauren.m.feldman@gmail.com. Set to a soundscape of autobiographical voicemails and a cappella song, a woman learns of the passing of her grandmothers and is launched into a journey through absence, grief, and what comes after. 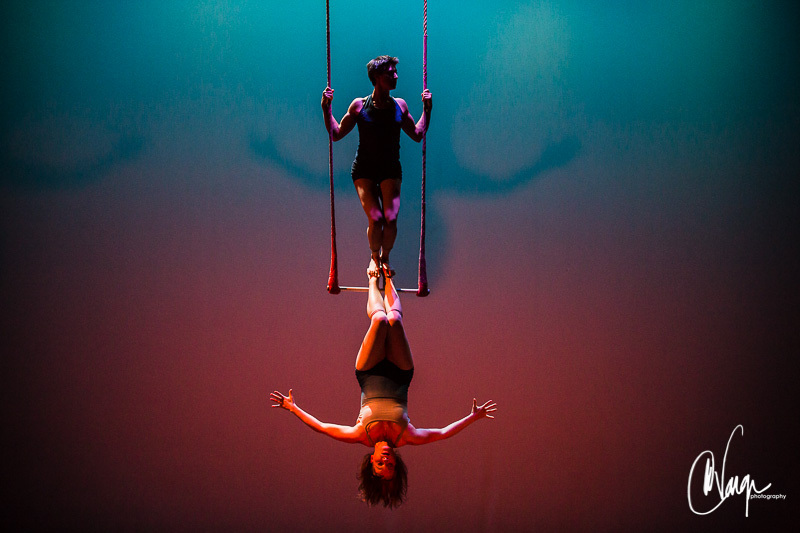 Megan Gendell and Lauren Feldman perform "What of an Afternoon," doubles trapeze, at Topsy Turvy: A Queer Circus Extravaganza, at the Brava Theater, San Francisco, June 2013, as part of the National Queer Arts Festival. Music by Sufjan Stevens & Osso String Quartet. For booking, please contact mgendell@gmail.com. Two strangers cross paths and discover a kindred spirithood. They come to know each other, invest in each other, love each other. And then one of them fades from the life of the other, pulling away for reasons never shared, leaving the two with absence and loss. Touring and available for booking. Click here to read ImaginAerial's blog post about our dramaturgical collaboration!